At Freshbins, we have been building bin washing trailers since 2005, this is seven or eight years longer than any other manufacturer currently building bin cleaning trailers. As well as being a manufacturer of top quality bin cleaning machinery, we are also a leading bin cleaning company and have washed well in excess of a million bins since 2003. 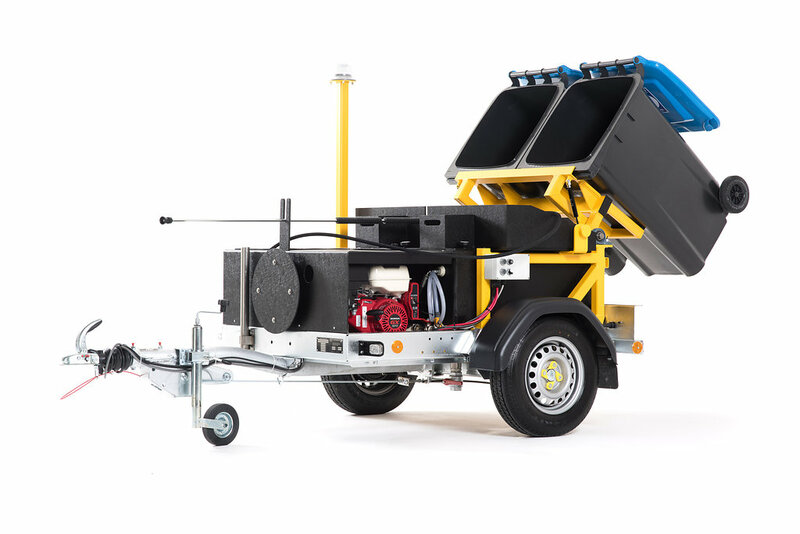 We therefore find ourselves in a unique position within the industry, to be able to draw on our own practical on the job experience of washing bins, to offer machinery, which has been specifically designed, developed and fine tuned over many years to offer the most efficient and logical solution to wheeled bin washing available. We truly believe that unless you have done the job for yourself you are not best placed to design equipment that is 100% fit for purpose. If you are looking to start a wheelie bin cleaning service, or you are a corporate body in need of your own equipment, you will need reliable, high quality, good value for money machinery! We have designed our EasycleanUltra with the operator in mind to maximise efficiency and profits. We have learned that efficiency and ease of use is vitally important if high volumes of work are to be achieved. Consider this; if you washed 150 bins per day, you must multiply each step in the process by 150, each step costs you time and time is money. 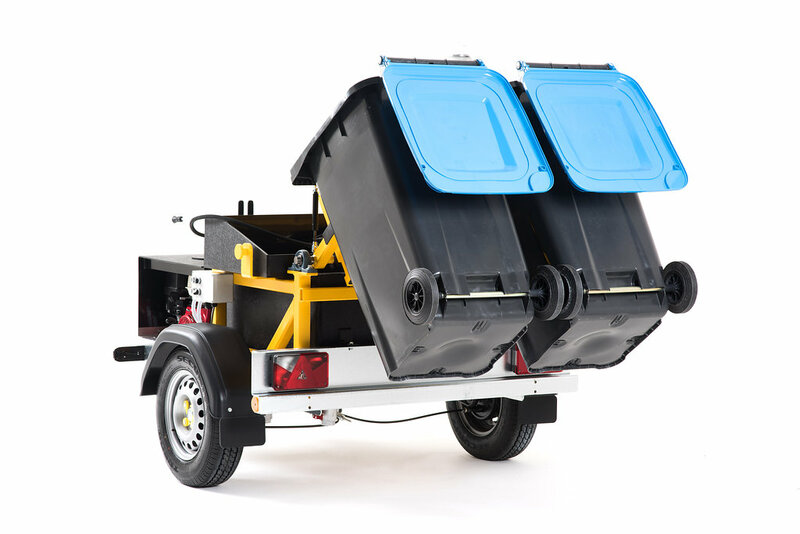 The EasycleanUltra Bin Washing Machine has been specifically designed to minimise the steps in the process in order to reduce the time taken and to keep the job as easy and as simple as possible for the operator (this is why we have developed a trailer system rather than vehicle mounted or inbuilt systems). Can you imagine having to drag a bin inside a van and then manually lifting it up onto a wash tray 150 times a day? We even provide storage areas on the machine for cloths, mops and disinfectant sprayers, so everything you need to do your job is easily at hand, rather than having to take them from your van each time you need them. This is a Fully self contained machine, which includes a bespoke water tank and pressure washer. 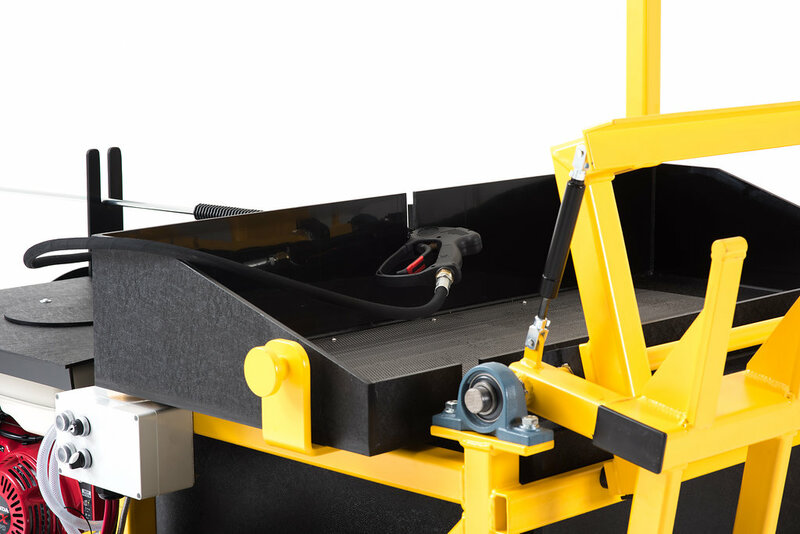 It comes complete with an EC Certificate of Conformity for complete vehicles and is built by an ISO9001 Company and is manufactured in compliance with the Machinery Directive. It’s also approved by the National Association of Wheeled Bin Washers and is a winner of a prestigious Green Apple Award from the Green Organisation. The EasycleanUltra Bin Washing Machine allows you to wash bins legally as the wash water is recaptured and recycled. It will allow you to work within a framework set out by the Environment Agency, Local Councils and Water Providers to ensure an environmentally safe procedure. Fines of up to £20,000 can be levied where polluted water enters the fresh water drainage system i.e. roadside drains. 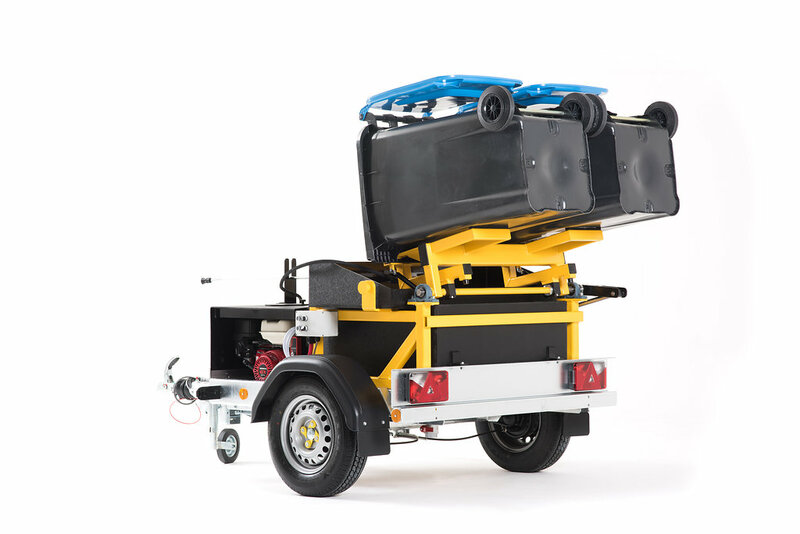 With our trailer system all you have to do is hook the bin/s onto the lift at the rear of the trailer, press the lift button to operate the lift and the bin/s are in position to be washed in seconds with minimal time & effort taken. Our system enables you wash and drain the bin at the same time, unlike pickup truck based systems where this is a seperate process. 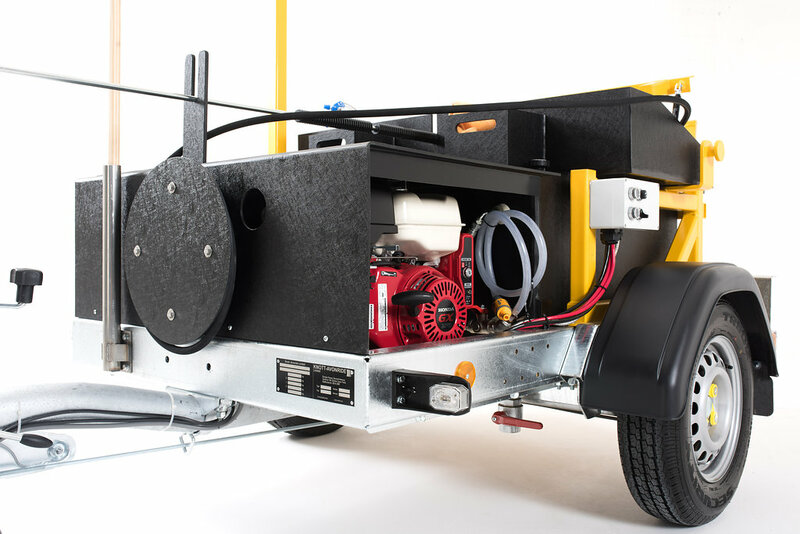 Another advantage of the trailer machine is that it can be used as a static macine without tying up a vehicle in the process. The EasycleanUltra Bin Washing Machine conforms to, or exceeds most countries trailer legislation and so is ready for export to most countries all over the world. We have recently exported to Ireland, Iceland, Australia, Canada, Denmark & Greece as well as many sales in the UK. Steep lift-tipping angle for easy removal of left-over waste material and draining of wash water. Can lift two domestic or one commercial containers up to 1280 Litres. Can lift containers with roll-top lids and flip up lids. 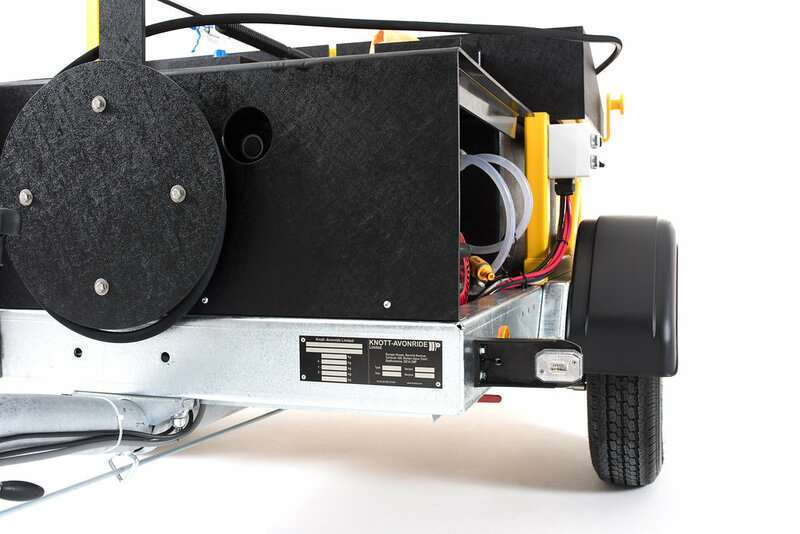 Choice of electric start Honda engines, Yanmar Diesel engines or 3 phase electric motors (standard fit is a 9hp electric start Honda engine paired to a 16 litre per minute 3000 psi Interpump water pump). 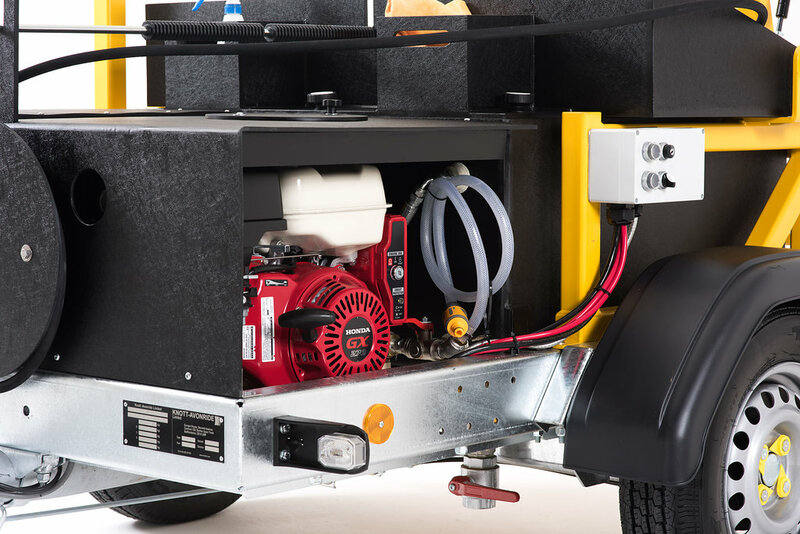 Fitted with a heavy duty deep cycle battery. Powerful water pump with long reach wash lance. Washing process of 10-30 seconds for a domestic container on a maintenance cycle. Bespoke Black plastic water tank stops sunlight and helps to keep water fresher for longer. Built in filtration system. Flat water tank design (baffled) for a low centre of gravity, vehicle stability and ease of cleaning (all internal surfaces are easily reached by hand for cleaning). Multistage water filtration and re-cycle system. Reliable and long lasting lighting pack which includes safety beacon & front marker lights for increased safety ,visibility and conformity to certain export markets. Very low day-to-day running costs of approximately £1.50. Separate freshwater inlet for direct connection to an external water supply if needed. Can also be used for hard surface cleaning such as driveways, walkways, patios, vehicles etc, etc. Don’t worry you don’t have to have a franchise! Freshbins UK Limited is an independent supplier of Bin Cleaning Machinery, and unlike the majority of companies in the Bin Cleaning industry we do not insist that you become a franchisee, you can simply purchase our Bin Cleaning Machines and go into business. However, franchising is recognised as being a relatively safe way of going into business as you are buying the experience and expertise of the franchiser. The main problems with franchising are the high joining costs and the high on-going franchise fees which never stop. Our Business Operating System (BOS) is the solution: We have the industry experience and know-how to help you make a fast start and ultimately a success of your business. For those who want to invest in our knowledge and expertise we can provide you with our Business Operating System. This contains all you need to know to run a successful bin cleaning business, it includes all the systems and processes we use ourselves and will help you to achieve success more quickly by showing you industry best practices that have been developed over many years, it will help you to avoid the pitfalls that cost you time and money. We give you the business knowledge without tying you into an expensive franchise and the associated on-going costs. We have the industry experience and know-how to help you make a success of your Bin Cleaning Business – contact us now for more details! and the number of bins cleaned). We hope you will see that this represents an extremely good business opportunity when you consider the earning potential versus a very reasonable start up cost. There are very few genuine business opportunities that can compete with this, and the cost of your machine can soon be earned back. 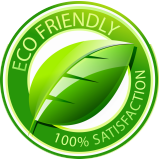 If you would like to arrange a no obligation visit to have a chat about the bin cleaning business, the business operating system and to see our machines in operation, then please do call us, we are only too pleased to help you.